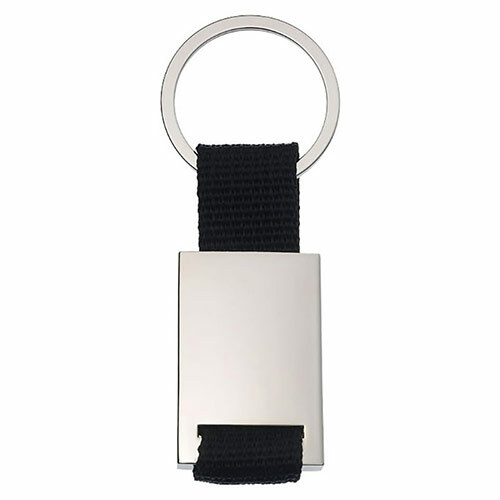 Rectangular metal keyfob in silver colour finish with black polyester webbing and sturdy circular metal keyring. 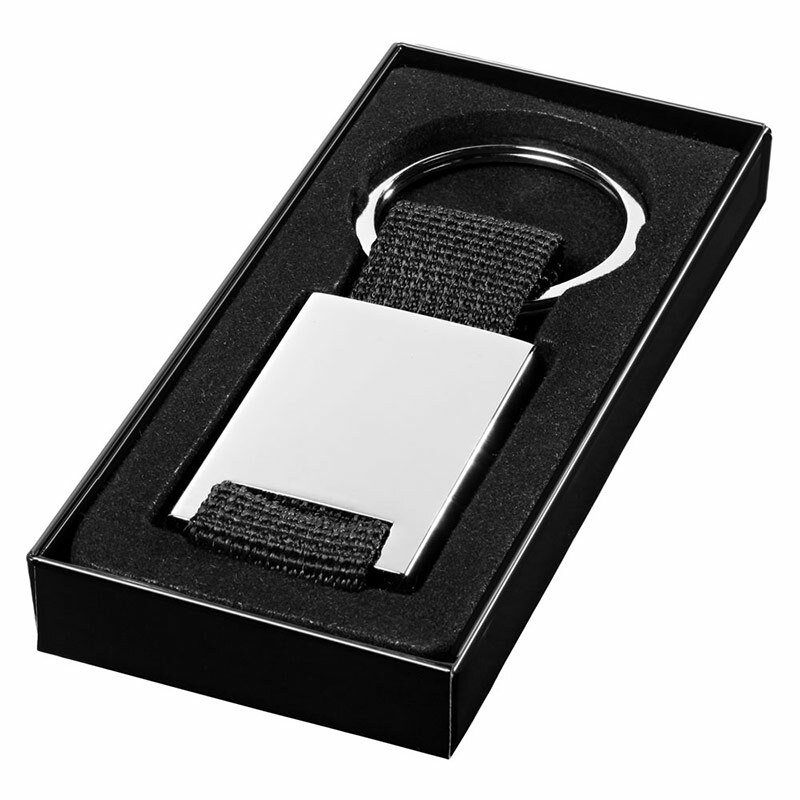 These promotional keyfobs are ideal engraved on the metal fob, and are supplied complete with a black gift box. 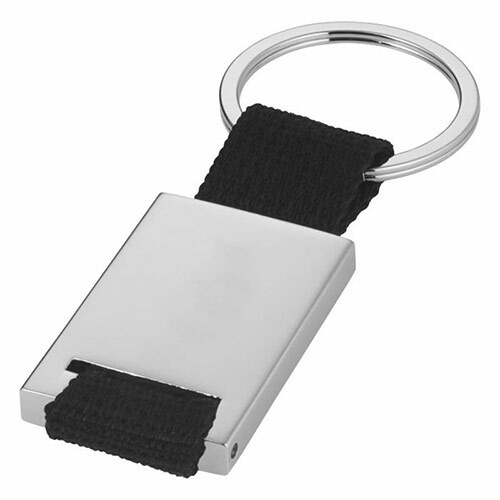 Product size: 5.3cm x 0.5cm x 2.8cm. Weight: 25g.